This is an important distinction to make—I wrote “as a technical communicator” and not “in technical communication.” A lesson I have learned is that one need not have a specific degree in technical writing/communication to be a technical communicator. From my experience, having any educational background combined with a high digital literacy (and of course having the eponymous “writing” literacy) is all the education that is ‘required’ to become a technical communicator. I know that it is uncouth to talk about oneself in a blog post but I believe that it is important for the purpose of this subject to know about my educational, professional, and personal goals to understand how I considered the different program choices and ultimately picked one. Some of your reasons will be similar and some will not—a program perfect for one person may not align with the goals of another. I have a Bachelor of Arts in English Literature from the University of Maine, Farmington. This humanities degree allowed me to take courses in literature, history, linguistics, physics, and other courses across several disciplines, which is a hallmark of a liberal arts education. After graduating, I moved to San Diego and worked in the Best Buy computer department/tech bench – soon to become what is known today as Geek Squad. This is where I was introduced to all the various technologies and where I learned about learning new technologies. Next, I worked at a marketing and direct mail company where I primarily used Microsoft Office programs, particularly Excel, Access, and Word. This is where I began to document processes and procedures for creating scripts, macros, and other esoteric processes relevant to that job. I also worked with customers and our lone copyeditor/copywriter to make sure that the ordering and processing workflow between my department and others was as clear as possible. I didn’t know it then but I was becoming a technical writer. I am currently a Technical Writer for a security software company. The aspect of my job that I love the most is the opportunity I have to learn new technologies (and different products) and to research technological advances in communication practices, discourse theory, visual rhetoric, as well as technological methods available to help users navigate their products (and the technology required to access those products). This is the hallmark of a career in technical communication—to be always learning. For this reason, I chose to return to school and obtain a graduate degree. I wanted to study the academic (or theoretical) perspective and felt that this would complement the real-world experience that I get every day at work and through professional programs such as the Society of Technical Communication and Linkedin groups. Places to learn are all around us. When I began researching programs, the first thing I noticed was that some programs relating to communications or technical writing were ‘Science’ degrees and others were ‘Arts’ degrees. Did I want a Master of Science or a Master of Arts and what was the difference? For a blog post about applying to graduate school as well as a different perspective on choosing a graduate program, see Master of What? by Blava_Mac. For a complete guide to applying to a Master’s or PhD. 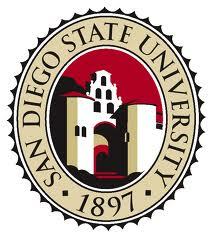 program, see Applying to Graduate School in Technical Communication by Angela Eaton, PhD. I won’t go into the debate between the sciences and humanities but suffice it to say that I looked into both ‘fields’ and based on my background and interests, I decided to pursue a Master of Arts degree. Conversely, during this time, a coworker was deciding which degree to pursue and she chose the Master of Science (Information Architecture) route because she already had an undergraduate degree in Technical Communication—so it really does matter what your interests are and what new skills/knowledge you want or need to learn. For example, my coworker has a BS in Technical Communications, so she decided to expand her knowledge into an ancillary field. Those who don’t have an educational background in Technical Communication (or professional writing) might lean more toward one degree or the other depending on which skills you want to supplement or gain. However, if the 2010 Salary Database from my local STC chapter is any indication, pursuing a technical or science degree may earn you a higher salary in the long term. I examined over 20 programs from my original Internet research and was able to narrow it down to 7 possibilities. I will give a brief description of each program along with an explanation about why I considered it but did not choose it. The STC.org Academic Database is a good place to start a search for the many different programs available in technical communication. However, this list is not exclusive and as I wrote earlier, one need not pursue a specific “technical communications” degree to be a technical communicator. I was attracted by the location, breadth, and reputation of the program and I would have more thoroughly considered it had it offered an online version. I knew that I wanted to study rhetorical discourse and advanced composition methods and the primary focus of the program is rhetorical theory as well as professional and public discourse. However, I wouldn’t have been able to manage the campus schedule and I know that it wouldn’t have fit with my life then or now. There are two areas of specialization, Teaching Writing or Professional Writing. I think that the Professional Writing specialization (with the rhetoric core) balances the theory/practice aspects of the program by providing “practical” instruction. I recommended this program to a young, single coworker of mine (a person at a different ‘stage’ of life, i.e., more freedom in his schedule) and he begins the program this fall. The application requirements coupled with the high tuition ruled this program out for me very early. 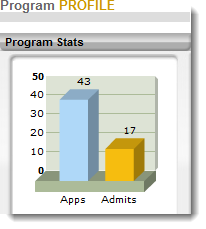 Additionally, a graph is displayed of how unlikely it is that you will be admitted. The program also seems very small and didn’t appear to offer a connection to the university or other students that I was looking for. The course offerings were enough to keep me interested in this program but it was difficult to find information about it (faculty, student and university collaboration/support) from the website and I didn’t feel that the program met my desire to feel “a part of” a university. I also considered the name of the degree and I didn’t think that “Digital Rhetoric” sounded legitimate as a graduate degree—I had never heard of it and I worried that I would have to constantly explain what it was. Last, the entire program seemed more practical-based and didn’t offer the theoretical or rhetorical background that I wanted to supplement my knowledge base with. This program focuses more on technology and design than communication. The Technical Communication degree has few required courses and the bulk of the program consists of courses from other departments (including the required certificate). For example, students are required to complete a certificate in Graphics or Human-Computer Interaction. The program goals represent the prevailing attitude that Communication and Rhetoric studies leads to continued study (academia) whereas the more technical programs lead to careers “in industry.” Students can substitute these certificates with courses in communication, marketing and management, or software engineering—but not courses in rhetoric. This looked to be a great program and was an early contender that stayed on my shortlist right until the end. Coincidently, after my first semester of graduate school, I presented with Dr. Hailey of Utah State at the 2011 STC Summit’s Beyond the Bleeding Edge panel. Truthfully, this program didn’t look challenging enough in the theoretical aspects I was looking for and its “course-based” program (no thesis requirement) was a negative and not a positive. Additionally, there weren’t enough courses offered outside of the core and this made the program feel a little “canned” to me. For those who live close to a campus, more “Theory & Practice” and other 7000-level PhD courses can be taken; however, these are not available to online learners. Of course, no graduate program search in technical communication would be complete without at least considering Texas Tech. The name and prestige that Texas Tech offers is very appealing—not to mention a great faculty, being very online-accessible, and offering avant-garde research. I ruled out this program because it didn’t seem flexible enough (for instance, no rolling admission or ability to substitute courses outside of the program) to fit with my schedule (work and life). Furthermore, I don’t think I would have been accepted—as I said, this is as ‘famous’ a technical communication program as exists—but the courses are a perfect balance of theory/practice and I would have enjoyed studying many of the theories pioneered by the faculty. 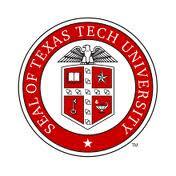 Perhaps my academic and professional accomplishments over the past two years will give me a chance to pursue a degree beyond my masters, and Texas Tech would be the list at that point [update: I applied and was accepted into the Texas Tech PhD program Fall 2014]. I chose to pursue my graduate degree at Minnesota State University, Mankato. A Master of Arts degree in Technical Communication qualifies you to teach at the college level. Furthermore, completing Mankato’s MATC degree as an online learner may be more beneficial than the traditional classroom degree because of the increased interest and expertise in learning and teaching online. Completing a humanities-based degree also allows you to teach composition courses as well as technical communication—those with credentials in literature only or the sciences (Master of Science degrees) have fewer claims to teach composition or technical communication courses. One criterion that I was hoping for in my university search was feeling connected with the university, program, and my fellow classmates. I know that this is difficult to achieve in an online program but Mankato has accomplished it. The MATC program is synchronous, which means that the courses have a set “class time” when all of the students meet online for class and the courses follow a typical semester format. There are many differences between courses and programs that are offered asynchronous or synchronous and your reasons for choosing one over the other will be different from mine. For me, having the live interaction with the professors and my classmates was essential for creating a familiarity that more often leads to friendship and collaboration than asynchronous distance programs are able to achieve. Another advantage to choosing a major university such as Minnesota State University is access to the latest learning technology. The Mankato IT department keeps the faculty and students in the most current and relevant software to facilitate online learning. Although each teacher in each course can choose the method of course delivery, most of the courses I have taken have used the newest version of Adobe Connect Pro. However, in past courses my teachers have also utilized Google Hangouts, Skype, Dropbox, Google Docs, WebEx, and WikiSpaces. This is another aspect of Mankato that reflects how it is a leader as an online technical communication program—that the teachers are willing to try new technologies and new approaches to online learning. Of course, I recognize that I cannot truly compare my experience at Mankato with that of another university, but from what I’ve ascertained from other students taking online courses at other schools, Mankato is a forward-looking university that isn’t afraid to experiment with new ideas for online and global learning. An example of how Minnesota State University, Mankato, is becoming a truly global Technical Communication program is the “International Technical Communications” course I took last semester (spring 2012). In this course, we not only studied current pedagogical frameworks from the books Designing Globally Networked Learning Environments (GNLEs) and Culture, Communication and Cyberspace, but we also had an engaging webinar with the authors. Furthermore, we were able to put the pedagogical theories to practice by collaborating with students from the German university Hochschule Karlsruhe – Technik und Wirtschaft (Karlsruhe University of Applied Sciences). I met with my German counterparts throughout the semester and my Mankato-based team completed a project that documented webinar best practices for online learning and collaboration. As I mentioned earlier in this post, the collaboration and community-building that Mankato strives to create is also demonstrated by the cross-cultural project with Karlsruhe. One of the German project leaders was Jürgen Muthig and because of my participation in the course, I was able to meet with Prof. Muthig a month later at the STC Summit 2012 in Chicago. I was also able to learn more about his standardization model called Functional Design. If an electronic version (PDF) of a journal article isn’t available (or available through a proxy, see #2 below), you can email or chat with a Librarian and request it—I’ve requested one in the middle of the night and the article was scanned to PDF and a link emailed to me within an hour. Signing up for library services and logging into the system establishes a proxy that allows you to log in to all the sites the university is a member of—I don’t know how many this is, but I’ve always been able to access any journal articles I’ve needed directly from publishers’ websites using Google Scholar. I have accessed 112 journal articles to date. If you need a book (which can’t be scanned) or want to see the physical journal, you can request “Document Delivery” and the library will, for free, mail you the book or journal. I know that there are many more programs and certificates available and which one is right for you will depend on many factors. Among them are whether you are already in the field or are looking to become a technical communicator—the programs are as diverse as the skills and knowledge needed to be a successful technical communicator. I hope that this post will help you with your graduate program research. Well done. I like the way that you broke down the pros and cons of each program that you considered – your criteria will give other prospective students a good idea of what they should be looking for. The part about achieving a “synchronous” experience with an online program is especially poignant – it gives hope to the people that, like you, would like the benefits of a classroom experience but don’t necessarily have the time to accommodate a traditional graduate program. I agree with Blava_Mac: your notes regarding synchronous instruction and the library “amenities” are useful, especially because prospective graduate students don’t always consider those features. I can’t believe it. After almost two years of searching for just the ‘right’ Tech Comm grad program, I have finally found it. I am a government TW and have Google’d, searched, dug, and looked high and low to find a program with a “government flavor” that (after paying for it) wouldn’t put me in the poorhouse. Thank you for posting this – and posting it in a clear and helpful format. BTW – your blog is extremely well designed and highly articulate: good job! I wish you the best of luck in your grad studies. Thank you for the comment. I’m sorry you had to search, dig, and look high and low for two years to find a program–I’ll have to tune my SEO… Which program did you end up choosing? 🙂 Your SEO is working just fine; it was the search terms/phrases I was using. I went with Minnesota State University; it has basically everything I’m looking for AND it’s affordable. I checked out the blog entry you offered about your selection process, resulting in UMinn-Mankato. Also, follow-up blog entries that are current. a viable option. What advice would you offer? I would prefer an online degree option, with low-residency, low tuition, superb credibility and no GRE requirement. The primary reason I included the brief biographical sketch at the start of my post was to provide context for how I based my decision. The master’s degree can either complement or expand a BA and in my situation, the MA I chose was perfect. But I realize that it may not be perfect for someone else. The biggest factor in my situation (and I would venture to say it is the biggest determining factor), is the amount of experience one has. Someone with years of professional experience will surely benefit from different courses than someone new to technical communication. In my thesis, I briefly touched on C.P. Snow’s “culture war” between the arts and sciences, and while I hold definite opinions on this debate, I am more than willing to concede the “other” side when choosing a suitable master’s degree. For someone new to technical communication, or looking to break into the field, I would probably recommend a more “practical” degree program, in the sense of “theory versus practice.” For me, I was looking to complement my practical experience with theory, but for someone new to the field looking for entry level work, I think a more practice-focused program would be better. As you can see, these are both MS degrees–also covered in my thesis was the seeming difference in instruction between MS and MA degrees–most likely stemming from MS degrees being within Engineering departments and MA degree typically within the English or humanities departments. With exceptions of course, see http://english.mst.edu/academicprograms/webpage/Missouri S&T’s MS degree. I wasn’t able to review the Missouri program, but it looks like a great hybrid program combining theory and practice. Another program that looked really good was Montana Tech of the Univ. of Montana MS; however, it is not offered online. Univ. of Montana MS not good. Hi Katty, can you elaborate on why this particular program either didn’t meet your expectations or didn’t fulfill some other qualification for a good program? Understanding your reasons for the evaluation will help others who are in a similar position. I’m looking for a new program and am very intrigued by the one offered at Mercer. However, I want to be very sure that it is a good fit. Can you share any tips for getting information beyond the little that is typically avaliable on a school’s website? Thank you! And thank you for the helpful posting! What school were you going to? I am very interested in this degree (I think more on the MA side). This field finally seems right after picturing myself in so many other fields. The blog post about my decision to choose a program reflects how much thought I gave this decision. I emailed each program I was interested in, perused their website, and looked through social media. One of my top criteria was the same as yours–engagement. I was looking for a program that engaged the students during and after the program. One of the biggest decisions I made was that I wanted to only attend synchronous programs. I perform a similar “test” before I make a major purchase–I reach out to the companies I’m interested in and see how quick and what kind of response they send. With Minnesota State University, Mankato, I emailed with the Director of the program several times and he was more than willing to answer any questions I had. Regarding the learning management system, I prefer a program that is willing to experiment and try new things, and not set with antiquated technology. I’m sure that all the programs have their strengths and weaknesses and I really believe that each program is better suited to different people at different points in their academic and professional careers. Let us know what you decide to do, and I’m glad that my post could be of some help with your decision. 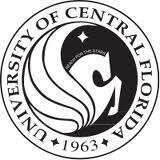 I left the program at the University of Central Florida. I’ve posted previously, but would like to again state that because of Fer’s recommendation for UMinn-Mankato, I was able to FINALLY decide on a program that felt perfect for me. I’m a government employee and this program is the closest to giving me what I need. Thanks again, Fer! I have been looking for grad schools that offer MS in Technical Writing/ Technical Communication and came across your very helpful blog entry about your selection process. I have an undergrad (engineering) degree in Biotechnology but have been working as a software tester for the past 2.5 years. However, I am really interested in writing and want to pursue a career where I can put my writing abilities to use. And hence, I want to pursue a degree in tech writing, but am unsure of what steps to take. What advice would you offer? I prefer a classroom degree option with low-residency and low tuition costs, and good credibility (so I can get a decent-paying job after graduating). Since you have the in-residence option, that will definitely give you many more programs to choose from. Of course, I can’t speak for how you’ll use an MS Technical Writing degree or what types of jobs you’re expecting or willing to take. The only advice I can offer is based on my cursory knowledge of the programs I reviewed in this blog post, as well as the programs I analyzed in my MA thesis. As I said in my blog, I think that the program you choose should complement and supplement your existing education and experience. For example, I was already working as a technical writer when I was looking for a program, so I didn’t need one that boasted “practical skills” or myriad “internship” opportunities. However, for someone looking to break into the field, these may be just what are needed. You mentioned that you have an engineering degree in Biotechnology—this may make you suited for a concentration in medical writing, for instance. If that is true, then you may look for programs that offer those courses. Simplifying it to the binary I described in the blog post above (the differences between an MA and MS), if I were just starting out and would be looking to my MS/MA degree to land me a job, I would look for a program that teaches more (or at least equal to) practical skills over theory. I reviewed many more programs for my thesis and have a list of every required course for each MS program in the STC Academic Database. Northeastern University; Missouri University of Science and Technology; Mercer; Illinois Institute of Technology; Boise State. Internationally, the Hochschule Karlsruhe Technik und Wirtschaft MS program in Communication and Media Management is an example of a program where graduates can walk directly into any entry-level technical writing position. I received a comment regarding this post on my About page https://ferswriteshoe.wordpress.com/about/#comment-593 that included specific questions for choosing a technical communication graduate program. I have summarized and anonymized the questions in the email and have provided my response below. Greetings from India!! I am an avid reader of your blog https://ferswriteshoe.wordpress.com/ and have gained a lot of insight into the technical communication domain from your articles. I am currently working as a Technical Writer in a software company. As of today, I have almost five years of experience in the Content/Technical Writing industry. 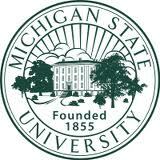 I am interested in applying for a Masters program with a focus on Technical Communication for the 2015 Fall session. I have done my MS in a science field. * Since, I am already working as a technical writer and taking up this course (full-time) would be a kind of sabbatical for me, how would you assess my chances of getting back into the profession as a much more educated expert? * Is this a wise decision to stop working and attempt this academic program in the middle of my career? * Are there any chances of funding available in form of Research Assistantship or Teaching Assistantship for International students such as me in the program? * What is the contemporary job scenario in the US in the domain of technical writing and the general placement success rates at the end of the program in your University? * What would you suggest me on taking up, an MS or an MA program? I have more than 3 years of hands-on experience in technical communication as I write this email, so based on that, what would you suggest me to take up and why? Thank you for taking the time to write me about your interest in graduate school. It’s great that you think I can offer you some advice to help you decide which program is best for you. I do want you to remember that I only have experience at two graduate schools for technical communication and the rest of my knowledge about programs and schools comes from my own research and opinions. First, overall it looks like you are in a good position to research and choose a program—I’m glad you have the realistic expectation for starting in the 2015 fall semester. Additionally, your combination of skills, education, and experience is impressive and will help you decide where to attend, because as I will mention below, it allows you to choose a program that will supplement and complement your existing knowledge. Regarding your personal test scores, from my experience those play a much smaller role in the largely “holistic” admissions process of most graduate programs these days. Based on your work experience as a technical writer and your previous master’s degree in science, I agree with you about questioning the need to even get a specific degree in technical communication. Whereas I know that a decent program would definitely help your writing, overall communication, and rhetorical abilities, I don’t imagine that it would give you an advantage in the job market, as you seek. As you said, I think that taking 2+ years off from work to complete a degree might do more harm than good. However, there is an alternative you may not have considered—in the US there are many, quality online MS and MA degree programs that allow you to continue working full-time. Just think, while you take the 2 years to complete the degree, you continue to build your work experience. For example, I was able to continue working and completed in 2 years the technical communication MA program at Minnesota State University, Mankato, and I know other students who lived in India while in the program. Additionally, I think that an MA might be a good complement to your current MS and technical skills—MA’s tend to focus on more communication and rhetoric. Most universities in the US offer some assistantships for graduate students but from my experience, they are highly competitive and hard to attain—I applied to several over 2 years and never received one. Another good thing about the Mankato online program is that it is inexpensive—you may local tuition rates. I’ll take the second part first: I wouldn’t expect any program to give you a considerable advantage finding a job—this will still come down to your own volition and marketing. This is why I agree with your concern regarding quitting your job to complete the MA/MS. You’ll be in a much better position working and gaining an additional 2 year’s experience while attaining a technical communication graduate degree. As to the contemporary job scenario, I think this depends on your true motivations for attending a US-based program—perhaps being on campus will serve you better if you are looking to get a job in the US; the “higher cost” of giving up 2 years of experience with your current job may be worth it for the better opportunity of finding/networking/interviewing for jobs in the US. I can’t speak much to this of course (your motivations), but if that is the case I might suggest finding a university located in the city or region that you would like to work in. This will help you with internships, networking (local STC chapter meetings will probably have members from the companies you would like to join) and ultimately interviewing for a job at a company you like. I received a question via email regarding choosing a graduate technical communication program. -looking for an online or low-residency program. I think you’re correct in that your English background is probably sufficient to exclude any writing-intensive programs from your search query. For example, Appalachian State University has too much theory and writing that you don’t need. However, I think you’re wrong thinking that an MS isn’t right for you–I think just the opposite; it’s important to build on one’s existing knowledge and expand it, which is exactly what a “more technical” degree will offer. I put “more technical” in quotes because from what I’ve seen, the programs aren’t really any more technical, they are just under a non-humanities department, and I think it’s mostly marketing rather than actual technical/scientific focus. Now, if you wanted true technical focus, there are some, but not offered online, and the best may not even be in the US. But that’s not relevant here. I wouldn’t worry or think about scores and MS or MA, all the programs pretty much take a “holistic” approach to admissions now anyway. Besides, as I said above, look at the course offerings between an MA and MS and they are almost exactly the same. However, there are a few MS programs that offer more “practical” or “tools-based” courses, and these are the ones you should be looking for. * Mercer, MS, part of the engineering department , but I don’t think that should scare away anyone. No Xml/DITA or tools though. 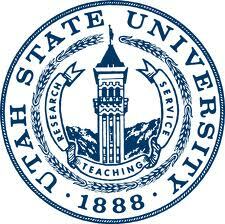 * Utah State, It doesn’t offer many “tools” courses as core, but maybe there are some offered as electives. Their program overview makes it sound like they offer and teach all the latest practices and tools (e.g., xml), but from my research that’s not the case. The last time I checked, they allowed some students to take other courses offered at the college and apply them to the MA degree, but at the time the online students couldn’t. Maybe that’s changed–you could follow up with that. The other option you may consider that I didn’t is a graduate certificate. I didn’t consider this option because I wanted the advanced degree and I receive tuition assistance at my work (and aving the master’s really has opened many doors beyond just the knowledge gained). If you can find a certificate program that offers in-depth tools courses that would be the best to prepare you for an actual job. Xml, anything with websites (e.g., html/css — as much as you can handle or stand and the more the better), using different industry-standard programs, digital asset creation and management, etc. * Graduate Certificate Algonquin (Canada?). It has a good mix of useful courses and (for example) TWR2002 teaches Framemaker, one of the most widely used program in tech writing, and TWR2003 teaches RoboHelp, which combines XML writing with content management software, two of the most important skills a technical writer can know. If you’re interested in the Graduate Certificate route (https://www.google.com/search?q=graduate+certificate+technical+writing&ie=utf-8&oe=utf-8&aq=t&rls=org.mozilla:en-US:official&client=firefox-a&channel=sb), I am interested to see what you find and either way, I also want to know what you decide to do, so please follow-up if and when you do make a decision. What I think it comes down to is this: synchronous classes allow for a connection, a familiarity among students and teachers that the asynchronous (“learn at your own pace”) programs don’t. One of the most important aspects of my programs has been the networking involved — I’ve met many people with links to many professions, schools, etc. and knowing them personally has made a huge difference for me. These programs will actually give you an Alumni-feeling as though you belong to the school and have a connection to it — I don’t get that feeling from those who took the other kind of classes. And as we discussed as well, the stronger the connection among students and faculty, the more networking that will occur and ultimately the greater success and opportunities available for you (I believe) — and the more success and stronger the program becomes, the more valuable your degree from that school becomes. Thank you for spending the time to write this review—it was very helpful! I just attended the 2015 Summit for the Society for Technical Communication, and Mercer had a booth set up in the Expo area. When I was searching for a program in technical communication, the Mercer program, which is in Technical Communication Management, seemed very appealing. After speaking with the woman at the booth, I am even more impressed. I decided to enroll in a program in Online Communications (University of Florida), rather than technical communications, because my passion is to bring quality content together with great design, and because I enrolled in a Master’s program in Tech Comm at the University of Central Florida and wasn’t learning anything new. There are definitely pain points because this is a marketing program, and being precise and accurate – and even writing well – are not a focus of marketing (weirdly), but I am learning and practicing a lot of new skills, rather than simply working toward a piece of paper that demonstrates what I already know. My point: I think Mercer’s program worth serious consideration. Thank you for contributing your thoughts on this topic. I fear that my reasons detailed in this post for my choice are becoming quite dated–I began looking at programs in 2011 and programs (and therefore the decisions for choosing one or another) change. As you point out, Mercer is a great option, and I’m glad that people continue to comment on this post to bring up relevant programs that others should consider. I have mentioned Mercer in subsequent comments through the years, (see https://ferswriteshoe.wordpress.com/2012/07/17/choosing-a-technical-communication-graduate-program/#comment-509) and I am glad to have an opportunity to do so again now. I can’t say with certainty why I didn’t consider Mercer more closely then; perhaps it didn’t offer the entire program as distance education at that time. I am familiar with the program to a certain extent–I included it in my master’s thesis research, and communicated with Dr. George Hayhoe (program director) on my research. Not to mention that the faculty is world class, and I respect them very much. Yes, I definitely recommend that people consider Mercer’s program when considering a graduate degree in technical communication. Wow, that’s a powerful comment to receive! It’s both nice to know that my experiences and writing has an impact but also disconcerting that it could trigger such life altering circumstances–I wish you all the best and please, keep us informed of your progress (only if it’s positive, I don’t think I could handle knowing that it affected you adversely….jk). I really like the school you have chosen too but it doesn’t appear to be regionally accredited. If it were, it would be my first choice. I was doing some research for some of my grad students here at Mankato about grad schools in tech comm and came across your blog post. I like the analysis. Nicely done. And I’m so glad you had a good experience here. As the newest faculty member in the tech comm program, I can say that I have never met more dedicated or interested faculty. They want to know more and share more about emerging concepts. I like that. It’s a great place and we enjoy our students. I knew you had joined and I was excited for the MNSU students! I definitely got the full worth of a techcomm education from MNSU and consider many students and faculty friends from my time there. The sense of connection was important to me and from my research of programs, what MNSU offers is pretty unique in that regard. Hey. I am doing my B.E i Computer Science. I am gonna work as a technical writer . What Masters course, technical communication or information architecture, you think I should pursue to complement my career? i) What is the difference between technical communication and Information architecture? ii) Will the degree will be a good complement to my career in terms of salary and career growth? iii) I narrowed down some institutions. Which of these is the best? f)University of Minnesota ->MS is scientific and Technical Communication. iv) What are the other masters courses you may suggest? Thanks for the great blog above. I really feel more buttressed and solicitous to pursue my masters now. Hello mam. You must be really busy with your day to day stuff. I am duly awaiting your reply. Hope you can answer my queries. Thank you! Thank you. This was incredibly helpful to me, even five years later! Very well written and informative. I just wanted to let you know that this specific article was very crucial in selecting a technical writing program for me. The information shows clear and thorough research, and it was written in a way I, a novice writer with a mere BA, could understand it. Well done! I’m still in the application process. The top five are: Mankato (which really does look like a neat program), Northeastern University (online program), Portland State (nearby and with a unique culture), Boise State (acclaimed college), and Montana Tech (only in-state college with a technical comm. program). If I had to choose, I’d say either MT Tech or Mankato. serving, and now I just can’t get hired. I’m still trying to break through. I don’t mean to unload, this is just where I’m coming from. Do you keep a portfolio as a technical writer? Maybe I am selling all the work I did in college inefficiently, or perhaps employers just don’t care about “in-class” experience. I would imagine that you’d recommend the full MA, but maybe one that boasts more internship availability. But being honest, I don’t want to take the GRE. Do you think the MA at Mankato is good for someone like me, or would you look more into a degree with practical skills? Thank you Fer, I’m interested to hear your thoughts. I am so close to pursuing Tech. Writing, due to it being related to my experience in my BS, but also because there are places around me that do hire for Technical Writers. Any fundamentals that may help me, from your in-field viewpoint, would be so appreciated. It’s hard when you know you could learn something, but all job postings require at least 2 years experience. So thanks also for hearing all this. Hi Fer! I was just reminded of this thread on your blog when recently contacted by a student who read about us, Mercer, in the thread. I just want to confirm that Mercer’s MS in Technical Communication Management is fully online, requires synchronous meetings for a better sense of connection with other students and professors, and doesn’t require the GRE. Thanks for the updated info Pam, I need to do an audit to update the original post but it’s been really good that through all of these years people continue to update through these comments!